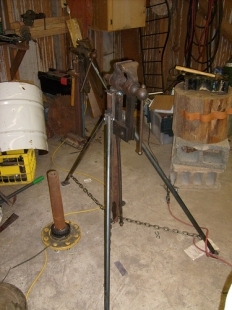 Homemade portable vise mount utilizing an iron plate and legs drilled to facilitate a tripod-like collapsing action. Something to keep in mind. I've sometimes found myself needing a vice when I crew for my racer friends.